Please note that Google Maps is incorrect, if you Google Map us or use GPS you'll end up several miles away. Take Highway 75 northbound till you reach 171st St. Turn West (left) and continue for about 2 miles. You will see us on your left. Take Highway 75 southbound, through Glenpool, till you reach 171st St.. Turn West (right) and continue for about 2 miles. You will see us on your left. Take Alternate 75 southbound, through Kiefer, till you reach 171st St.. Turn East (left) and continue for almost 1 mile. You'll see us on your right. Take Alternate 75 northbound, through Mounds, till you reach 171st St.. Turn East (right) and continue for almost 1 mile. You'll see us on your right. 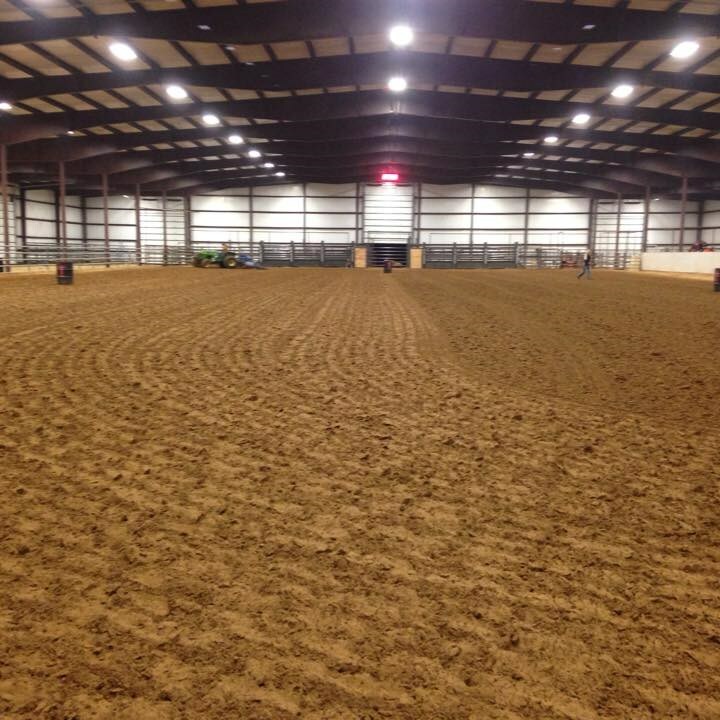 120' x 240' indoor arena. Located in Mounds, OK.
5270 W. 171st St S.